Zhongdee hostel is located at the heart area of Bangkok where you can access many kind of transportation. We recommend you to use BTS system to transport you to your destination or nearest place that you can walk, or take taxi/bus to reach your destination because Bangkok has a lot of traffic. In addition to, Zhongdee hostel is located in Silom area where famous among tourist about food, nightlife, entertainment and the glory Indian temple just our next door. 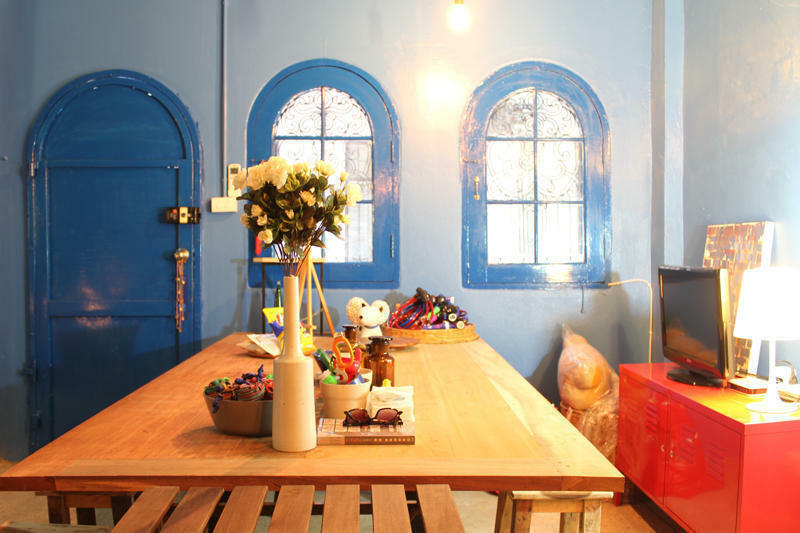 Zhongdee hostel was created by group of people who love travel in-style. We accommodate you in budget price with comfortable lodge base on our experiences. The hostel located in central area of Bangkok while close to Indian temple (attractive landmark) and just 5 mins walk from BTS station. From Suvarnabhumi airport : take airport link from airport to last station, Phayathai station, then take BTS from Phayathai station to Surasak BTS station. From Don moeng air port : take shuttle bus/taxi toward Victory monument, then take BTS from Victory monument station to Suraasak BTS station. From Surasak BTS station : go to exit no.1, then head east toward Sathon Nuea Rd., turn left at 2nd alley, Pan Rd., head north about 200m, then turn right at Family Mart.